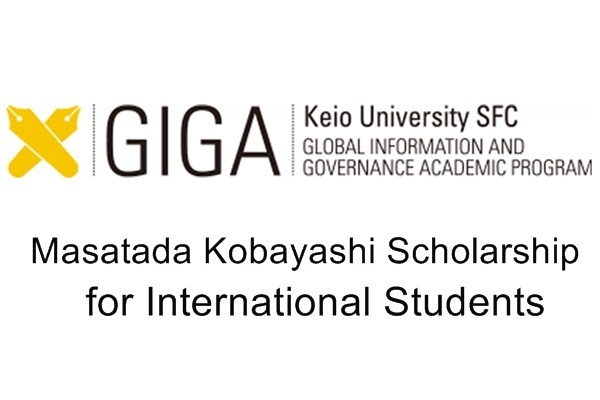 The Keio University Japan offers GIGA Masatada Kobayashi Scholarship made possible through the generosity of one of the first graduates of Keio University SFC, Mr. Masatada Kobayashi. The Masatada Kobayashi Scholarship is available for Students who show exceptional academic excellence only. The aim of the scholarship is to support hard working students who display an aptitude and interest in advanced information technology and governance such as international strategy and social innovation, and are likely to contribute to the global society using their acquired knowledge and skill in the future. This scholarship is available for 2 students for 4 years and will cover Academic Fees required at the time of entering the Universityr. The scholarship recipient will be exempt from payment of the academic fees starting September of the current year. Students who show exceptional academic excellence only will get Merit Scholarship Supplement JPY 1,000,000 per year. The scholarship amount less the academic fees for the current year Fall Semester will be paid into the scholarship recipient’s bank account. The scholarship and supplement may be renewed up to four years, subject to annual review.